SUSAN LAPENTA is a partner in the law firm of Horty, Springer & Mattern, P.C. in Pittsburgh, Pennsylvania, which specializes in the practice of health care law. The firm represents institutional providers, such as hospitals, multi-hospital systems and health maintenance organizations nationwide. Ms. Lapenta is an Editor of the Health Law Express, a free weekly e-mail on the latest health law developments and she is currently a faculty member of the HortySpringer seminar Credentialing for Excellence. She has worked extensively with hospitals and their medical staffs on peer review investigations and hearings and she has assisted medical staffs in the revision of bylaws and related projects. Additionally, Ms. Lapenta has served as counsel in litigation stemming from credentialing decisions, including the defense of antitrust claims. 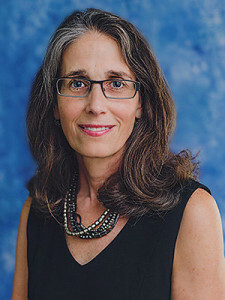 Ms. Lapenta has also served on the faculty of the American College of Obstetricians and Gynecologists and currently serves on the faculty of the American Association for Physician Leadership. Ms. Lapenta received her Bachelor of Arts degree from West Virginia University in 1981, and her Juris Doctor degree from the University of Pittsburgh School of Law in 1985. She was a member of the staff and served as the Managing Editor of the University of Pittsburgh Law Review. Upon graduating from law school, Ms. Lapenta worked as a law clerk for U. S. District Court Judge Glenn E. Mencer. She is a member of the Allegheny County, Pennsylvania and American Bar Associations.